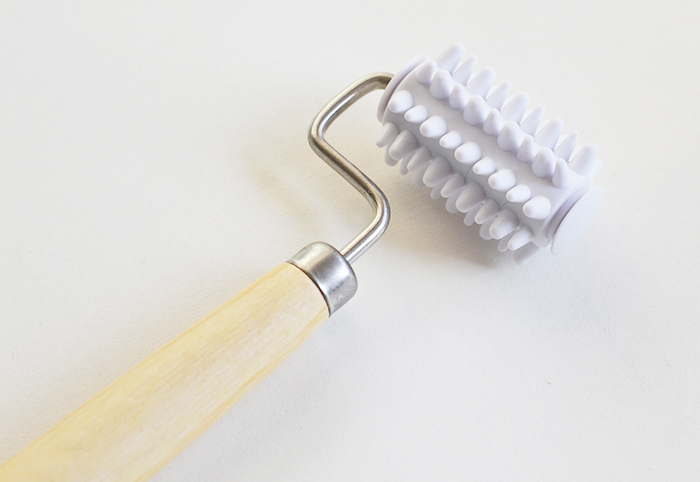 I've always been a little hesitant when it came to beauty tools. I remember browsing a Dutch beauty blog when I was younger and coming across this article that featured many horrific beauty tools that people actually used! Think face rollers with spikes on them, now those will certainly increase blood flow. But since falling in love with Isabelle Bellis' facial cleansing routine and her 'pianotage' I've been gaining more and more interest in facial massage and its included benefits. 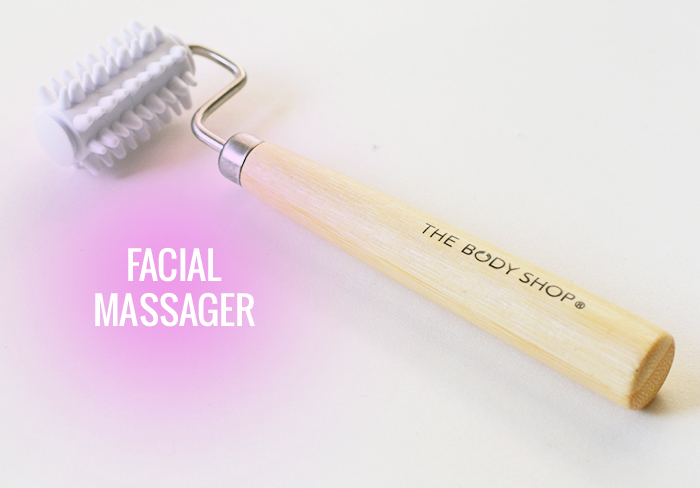 Cue the hype around The Body Shop Facial Massager, a simple roller that gently massages oils and moisturizers into the skin. It's easy and fun to use, and I can really tell the difference when I use it. The products I have applied absorb much quicker and my face feels plump and treated. Like I've just been treated to a spa visit. You roll it over from the center of your face and along the jawline towards the lymphatic areas - your ears, right under the jaw and down the neck - this literally pushes the crap from your face. Pardon my French. The little pamphlet that comes with it says to use it at night, but I actually quite like using it when I'm sat at my desk as well.